Top 10 Best Valentines Day Gifts For People On A BUDGET!? Here are 10 awesome valentines day gifts for people on a budget. These work for school friend gifts, and even gifts for dates! This one is for friends who want to give there friends or acquaintances. It could be either a candy or a bouncy ball. For the planet in the corner of that heart! This one is great for close friends! All you need is a donut! This one will take some time, but it sure is a fun gift, for dates and even friends! You can’t go wrong with flowers, if its a small bouquet or a nice large one, everyone loves some flowers. You can’t go wrong with some chocolates in the shape of a heart. 7. Acquaintances Go Pop Pop Pop! This is one for people you know, but not to well. It is cheap and fun! This one is easy, all you will need is a picture frame! It’s something a date will love, a friend will love and everyone will love! Now this one is a big deal okay? This gift is for people who are REALLY in love! Because it’s hard to love something more than cupcakes! 10. Literally Free, Because You Rock! This one is for people who are on a budget yet they want to be romantic. 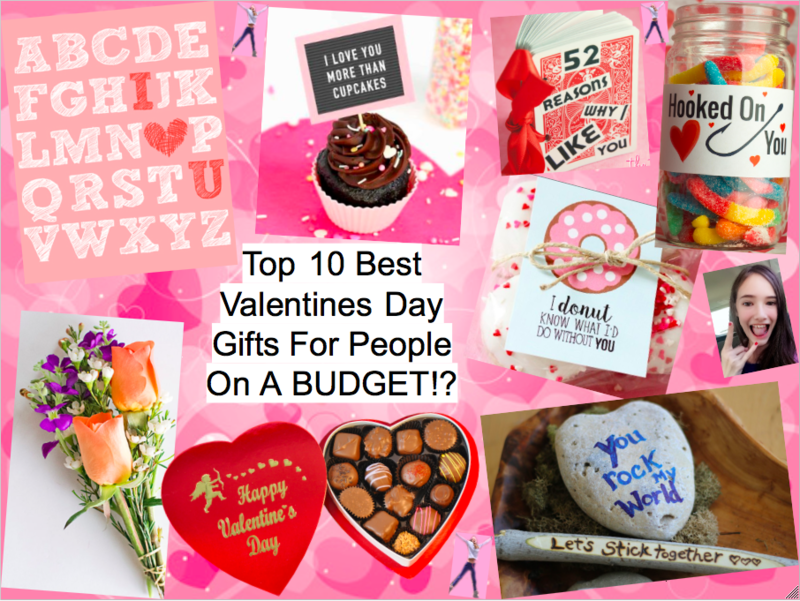 Those are the Top 10 Best Valentines Day Gifts For People On A BUDGET!! Which one was your favorite? What are you giving people on Valentines day? Write it in the comments! Follow, like, comment, and share for more! I really love them all!